Google has dropped image results from a large percentage of Google search results on Tuesday, which is also contributing to the volatility in search results many are seeing right now. Mozcast recorded a significant 49% drop in search results that feature image results appearing within the organic search results. This means that searchers are only seeing images in 15.8% of search results, down from about 33%. Dr. Pete Meyers from Moz confirms that the reporting is accurate and not a result of a bug or change in code from Google’s end, which has sometimes caused false positives in feature reporting. @STATrob @mozcast Seeing a massive drop last night – 30.9% of results to 15.8%. Spot-checking seems to confirm so far. Not a DOM change. Meyers also says that the drop in images is also contributing to the flux that Mozcast, and presumably other search results weather reports, are seeing right now, since it affects the positioning of the search results in a large percentage of results. 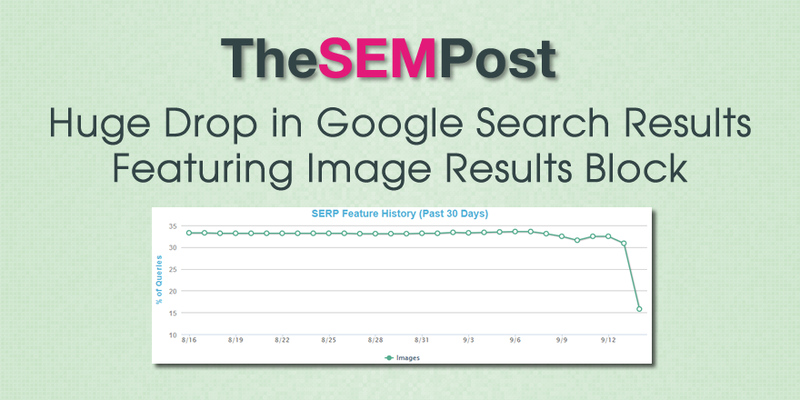 Tracking an almost 50% drop in SERPs with image results. Adds to organic flux, since it frees up a page-1 position. Trying to confirm. 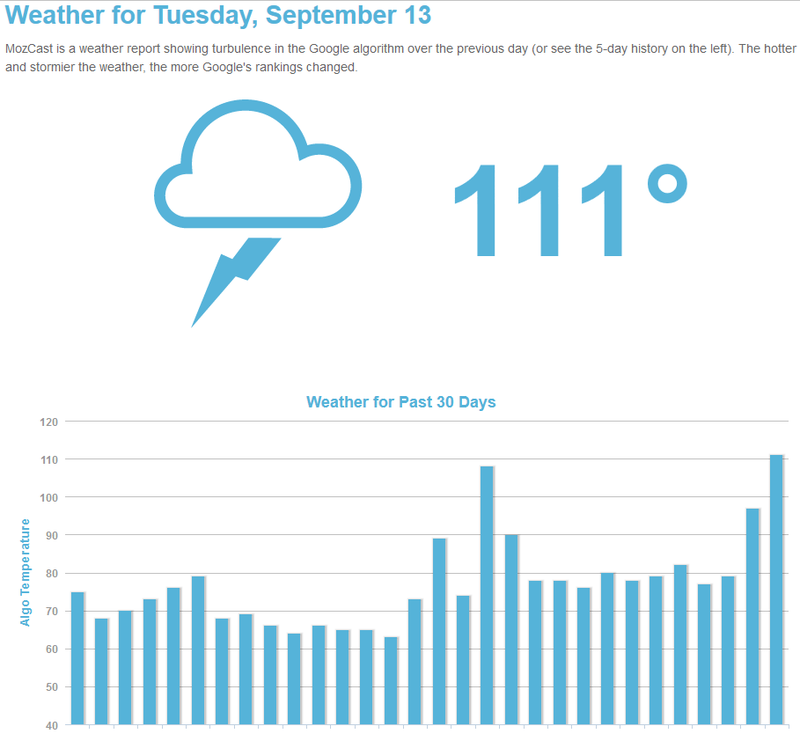 It is worth noting that Mozcast tracks desktop results, so these are desktop changes not mobile ones. But there is the possibility that it is either matching mobile more closely or that Google dropped image blocks from mobile results too – many search queries that saw images dropped from desktop results also show no images on mobile, and Google announced the addition of more image thumbnails within mobile search results.